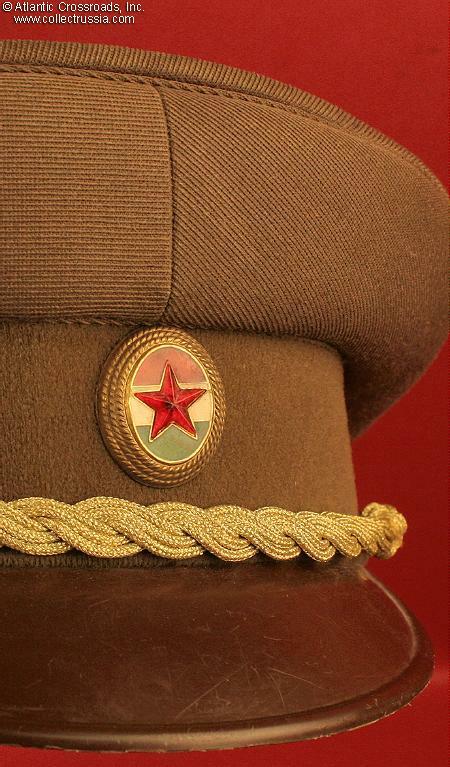 Hungarian Ground Forces officer's service cap. Small size, approximately 55 (US 6 7/8). Undated but probably from the 1980s. Green wool crown with green felt cap band. Officer's hat badge in brass, enamel, and plastic. Typically intricate Hungarian gold chin cord above a plain brown plastic visor. In good, used but not abused, condition. Overall scuffing on the visor, typical for this type of headgear. 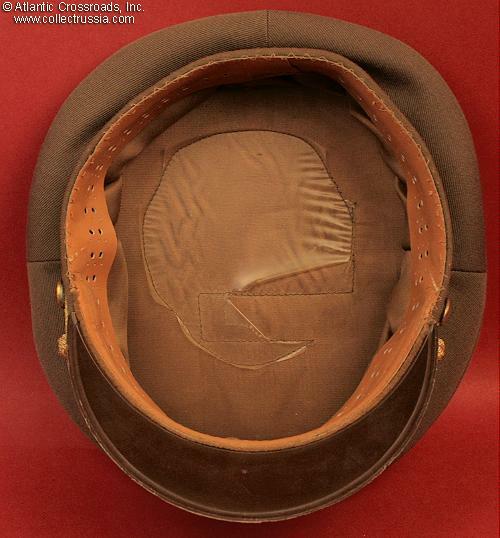 Minor wear on the crown, interior leather sweat band shows use and the sweat shield is torn. 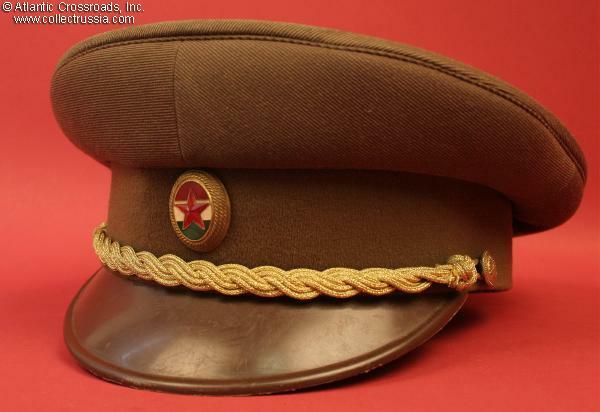 Still a presentable and good looking cap, particularly if you are looking to start or to complete a collection of Warsaw Pact headgear.